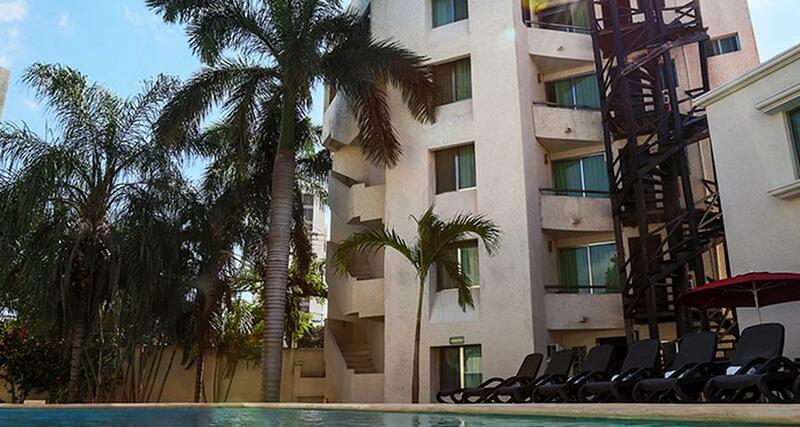 Suites Villa Italia is a 3* adult only hotel located in Cancun-Downtown, Mexico. It features 36 rooms and swimming pools. Suites Villa Italia has an excellent location in Cancun, surrounded by popular shopping centers, restaurants, bars, banks and nearby government offices, along with providing easy access to public transportation that goes to the Hotel Zone. This hotel is split among 4 buildings that house 36 suites and studio-like guestrooms, each with a kitchenette, a private bathroom and air conditioning, making them ideal for extended stays. It also features an outdoor pool and wireless Internet access.